Myths are not true… or are they? 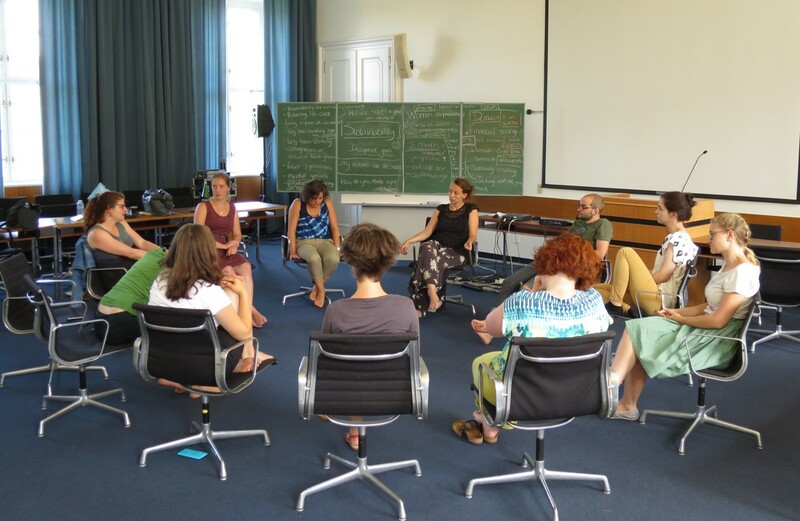 In July, Miranda Lakerveld, a music drama artist and founder of the World Opera Lab, visited IIASA to run two storytelling workshops with young actors in civil society and youth policy, as well as with YSSP students and IIASA staff. Miranda first came to IIASA in September 2016 as part of the Citizen Artist Incubator. After the workshops in July, Miranda and I sat down for a chat. Gerid: Miranda, in the workshop you shared how you approach storytelling in your artistic practice. You said: “I’m looking for moments that feel true, I pick them up and weave them together into new stories.” Then, a participant exclaimed: “Stories are not true!” It seems a contradiction, but possibly this is the very nature of stories. They might not be true, giving accurate accounts of past events, but they carry truths in them, which we so often can’t capture otherwise. You’ve been working with myths for a long time: What value do you see in them today, as we’re trying to navigate between “alternative facts” and often incomprehensible scientific writing? Miranda: Yes, this was a short reflection on the methodology I have developed and applied in many different contexts over the last eight years. It uses comparative mythology as a starting point. The aim of the method is to create a meaningful creative exchange that can involve people from all walks of life. Myths are examined from the perspectives of different cultures, and through this intercultural lens, we find symbols and archetypes that resonate as ‘true’ across cultures. The ‘post-truth’ era made us extra aware of the divides between communities and I believe such an embodied practice of mythology can be an inspiring place for people to meet. I think the renunciation of facts and scientific insight is a symptom of people feeling left out and angry. Using myths and stories can be one way to bring people together and find common truths. This workshop was part of the Systems Thinking for Transformation project and we wanted to search for “systems stories” in ancient narratives. We arrived at a very personal story of endurance and adaptation, pondered the power of great nature and cyclical behavior on a very large scale, and discussed economic justice and its relation to sustainable development. How does one story from Greek mythology – the Hymn to Demeter – lead to such diverse considerations? The development of myths and folk stories has very specific characteristics, which I like to compare to ecosystems. Symbols and characters create organisms in constant interaction with their environments. Through time, myths change, in fertile circumstances the stories flourish, and layers of meaning are added. Participants relate the Greek myth to myths from their own cultural backgrounds, and then to their personal histories. Interestingly, in the encounter between the myth and a group, some deeply felt preoccupations spring up from under the surface. I am still not sure how this happens. It probably has to do with a combination of embodiment of the characters, the richness of the archetypes, and the mise en scène, which represents the people inside the larger system. One integral part of systems thinking is to be able to consider and explore multiple perspectives on a problem or situation. How does the embodiment exercise come in to this? Slipping into different characters from the story is an essential part of the process. It unlocks the creative imagination and is related to action in society. 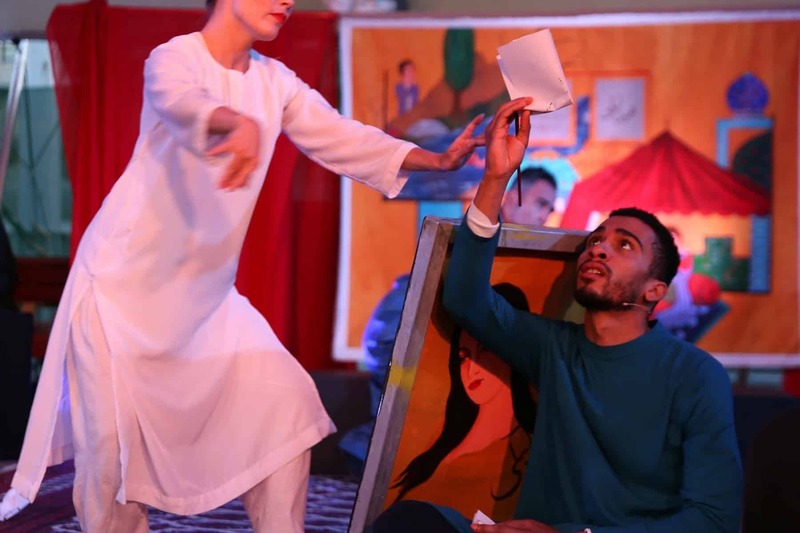 The Greek root-word for drama is “dran”, which means “to act”. Through embodiment we can take the position of another character or force in the system. The performing arts make this possible: we can take on different roles, understand new parts, and at the same time experience the whole system from a new perspective. There are other examples of how art and science meet through storytelling. A researcher at Berkeley University teamed up with story artists from PIXAR to help researchers create better stories about their research. What interests you in working with scientists and what is the role of storytelling? I think the collaboration between art and science could go far beyond creating stories about research. We see very different approaches of creating and transmitting knowledge. So we have to deal with this tension but an inclusive society also means we should value these differences. The academic world has created an intricate system of validating knowledge leading to very specialized fields of research. Artists work on larger ideas, but the output cannot necessarily be validated. We are trying to grasp truths about the same river, but we work from opposite river banks. I think we can build bridges and increase our ability for insight and action by telling stories together.